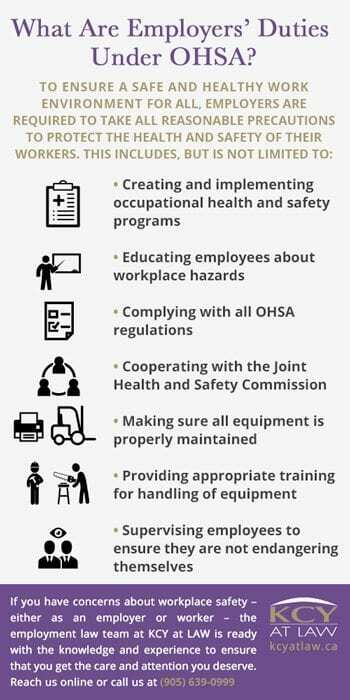 The Occupational Health and Safety Act (OHSA) is Ontario’s foundational legislation regulating standards of workplace safety. 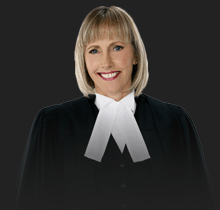 The OHSA is supported by other legislation such as the Human Rights Code and the Workplace Safety and Insurance Act. The Act is in place to protect workers from on the job hazards that may cause accidents, injuries or illness. It does so by setting out employer duties and workers rights; procedures for dealing with hazards; mechanisms of enforcement; and consequences for non-compliance. Who is covered by the OHSA? Workplaces under federal jurisdiction such as banks and airports are regulated by the Canada Labour Code. What are workers’ rights under OHSA? Workers should take part in identifying and solving health and safety issues. Working ‘on the ground’ in immediate contact with an organization’s operations and implements, workers are often the ones exposed to the greatest health and safety hazards in the work environment. Therefore, they are well situated to identify potential hazards as they arise. Workers have the right to be made aware about any hazards they may face. This includes being educated about proper operation of equipment and having access to proper safety equipment. The right to know also means that hazardous materials are properly labelled and that emergency procedures are in place should an accident occur. Workers have the right to refuse work that is unsafe. As a worker, you may not be reprimanded or terminated for refusing to work in hazardous conditions. This right will be discussed in further detail below. What Are Employers’ Duties Under OHSA? supervising employees to ensure they are not endangering themselves. What are workers’ obligations under the OHSA? 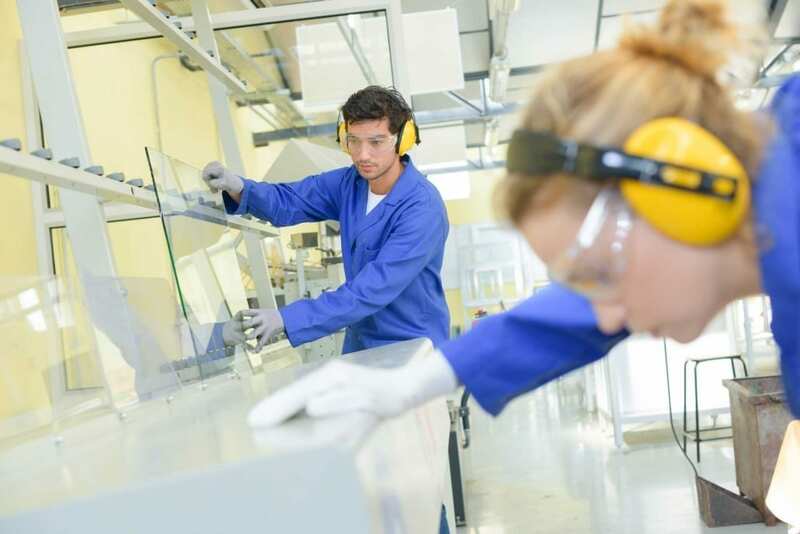 Workers are expected to take reasonable steps to protect their own health and safety. The Act does not absolve workers of personal responsibility. They must work in compliance with the Act and workplace regulations. This means using the required protective equipment, clothing and devices. It means informing employers of dangers such as defective equipment. Furthermore, workers must never modify any protective equipment. What Should I Do If Faced With Unsafe Work Conditions? Most workplaces present some degree of hazard, especially those operating outside the office environment. If you are faced with a situation or environment that you feel is a threat to your health and safety, your first step should be to bring your concern to the attention of your supervisor or employer. Hopefully, your superior was simply unaware of the situation and they will immediately set to remedying it. This is an example of a worker’s right to participate. A supervisor might not come in regular contact with a piece of equipment and therefore be unaware of its state of repair. A worker who handles the equipment daily, by contrast, might immediately know if equipment is malfunctioning. If your supervisor or employer fails to address the concern within a reasonable period of time, you should bring your complaint to a workers’ health and safety representative. If this position does not exist at your workplace, you should report the situation to the Ministry of Labour. As discussed above, you also have the right to refuse unsafe work. You do not have to accept and continue to work in hazardous conditions while you wait for your complaint to be addressed. The procedure for properly refusing unsafe work is available here. If you are injured at work, the first thing you should do is seek proper medical attention. It is your employer’s responsibility to ensure that you receive this attention whether it involves receiving first-aid by a trained colleague or being driven to the hospital by ambulance. Depending on the nature and severity of your injury, you should then report the accident to your supervisor or employer. Finally, you should complete the Workplace Safety and Insurance Board form. If you have concerns about workplace safety – either as an employer or worker – the employment law team at KCY at LAW is ready with the knowledge and experience to ensure that you get the care and attention you deserve. Reach us online or call us at (905) 639-0999.